Rite Rate, a local plumber, air conditioning, and heating company in Rockaway, NJ, keeps its customers a top priority. Any problem related to heating, air conditioning, and plumbing, Rite Rate can handle it all. We specialize in 24-hour repairs, installations, and replacements. 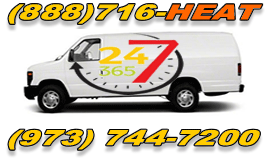 Don't worry if you need the services immediately because we are available 24/7 to help out our clients. We don’t compromise on our customer satisfaction and guarantee it on every job. When you need the help of a plumber or air conditioning company, we’re always here to help. All of our services are affordable and offered to residential and commercial customers. If your heater is not working properly you can rely on our heating company for 24-hour emergency heating repair in Rockaway, NJ! We can fix central heating, furnaces, water heaters, and boilers to name a few. Rite Rate also replaces and installs new heaters and can convert your heater from oil to gas. If you need heating maintenance, we can come in and do a routine checkup annually to make sure your heater is running efficiently. When your air conditioner fails to work you will need the services of a professional air conditioning company in Rockaway, NJ. Rite Rate repairs, replaces, and installs central air conditioners, ductless AC units, heat pumps, and packaged air conditioning to name a few. When we install or replace air conditioners, we’ll advise you on the best residential or commercial air conditioner for your space. Rite Rate is the preferred air conditioning company in the area because we have the best rates and first-class services! Plumbing problems are the most common and need to be fixed immediately. From clogged sewers, cleaning drains to installing and replacing pipes, we provide quality plumbing services. 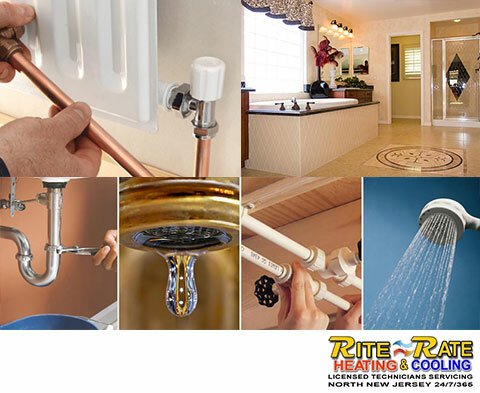 Rite Rate will repair, install, and replace toilets, showers, sinks, indoor and outdoor drains, sewers, and sump pumps. For a quality plumber, air conditioning, and heating company in Rockaway, NJ, call Rite Rate today! We’ll make sure you get the best toilet installation, AC replacement, and heating repair!